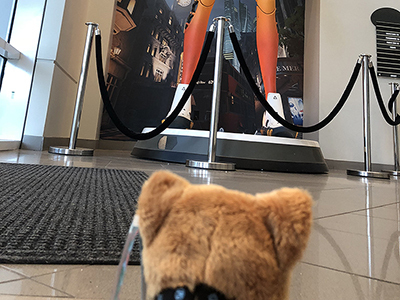 Our employees are the heroes behind our heroes. 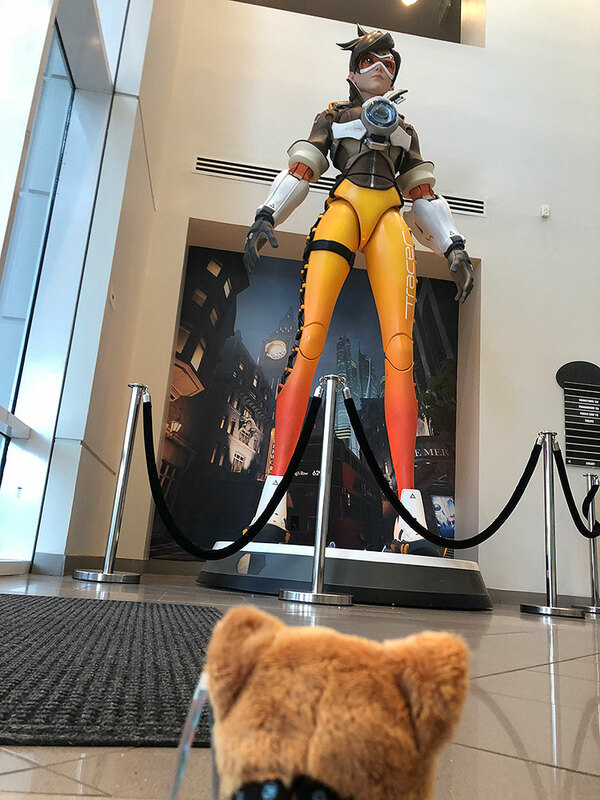 We're excited to share what daily life at Blizzard is all about! 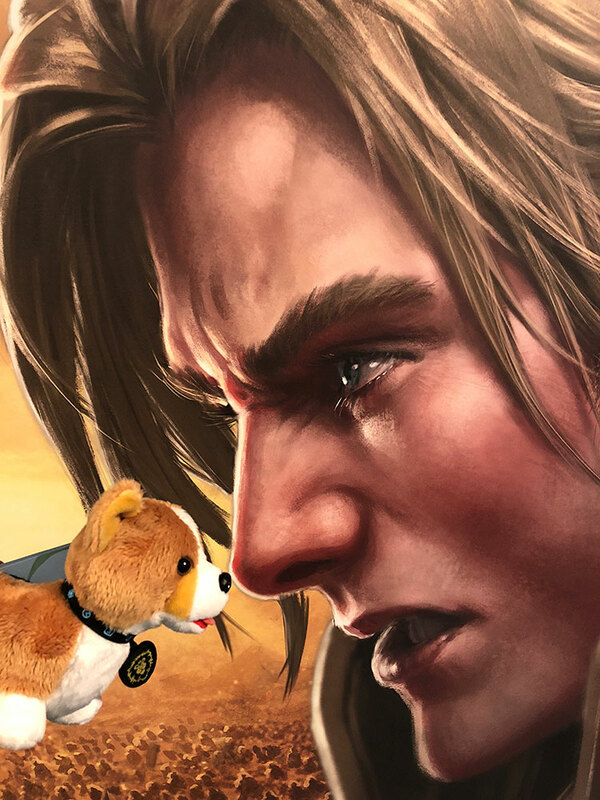 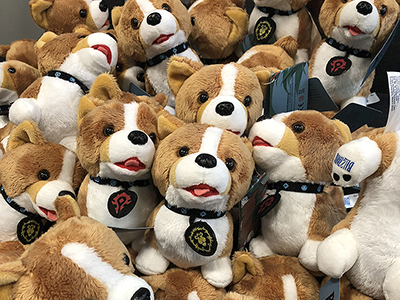 If any animal symbolizes the employees of Blizzard Irvine, it’s the corgi. 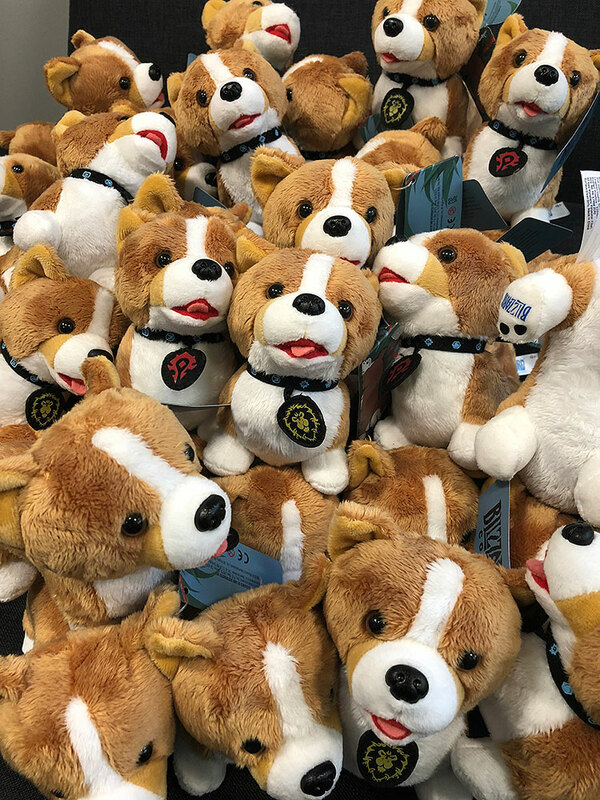 The most popular breed (over 80!) 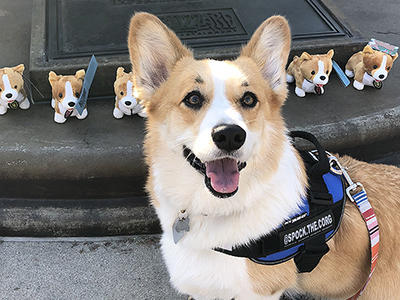 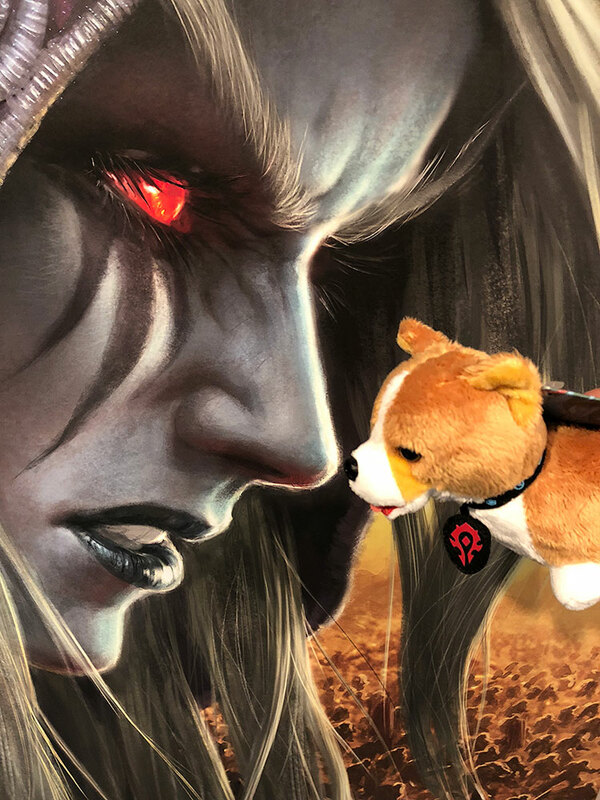 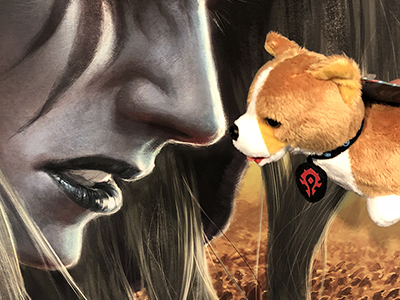 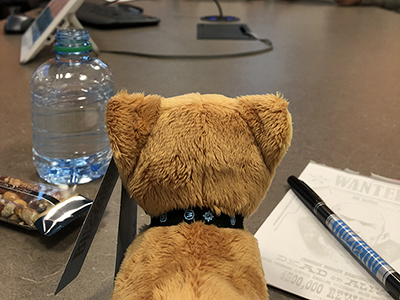 registered by employees, the corgi has become a mascot of Irvine campus #blizzlife. 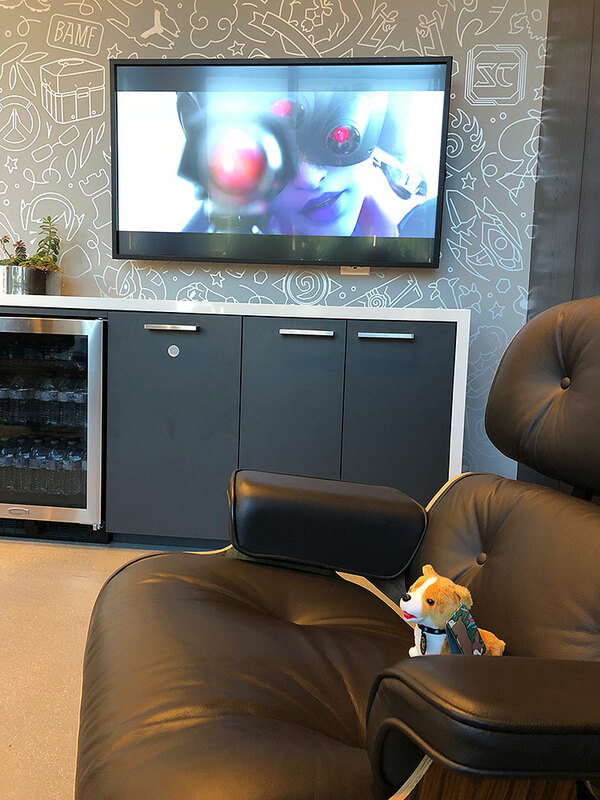 These friendly, scrappy waddles of energy can be found throughout team areas, under desks, in meetings, playing everywhere, napping everywhere, shooting hilariously through the grass looking like floating loaves of bread...basically keeping spirits high, as they do. 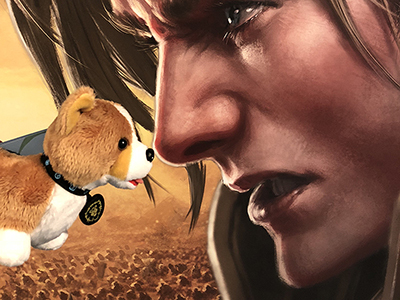 So when we thought about what would make an appropriate plushie symbol for headquarters, the answer was obvious. 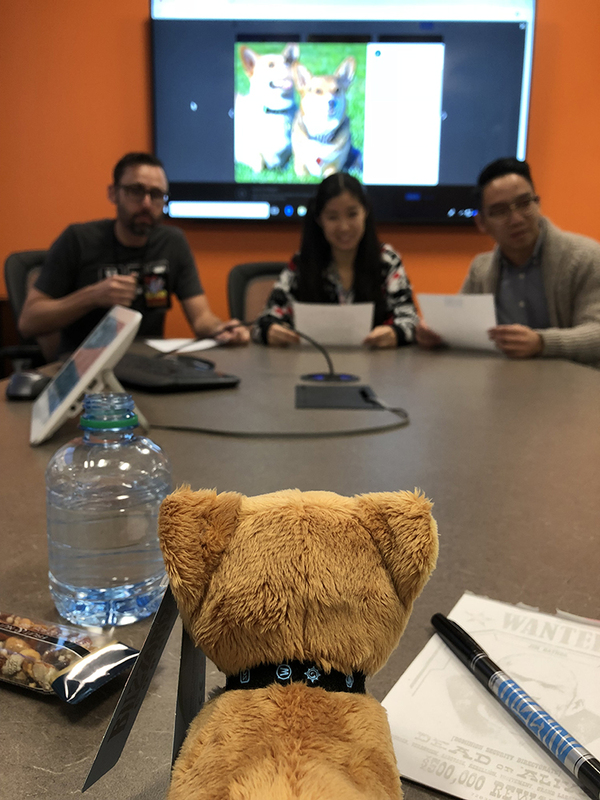 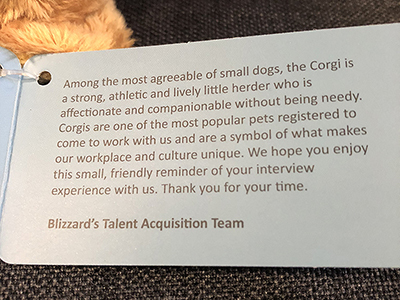 This little pup is an exclusive thank you to candidates for interviewing at Blizzard Irvine. 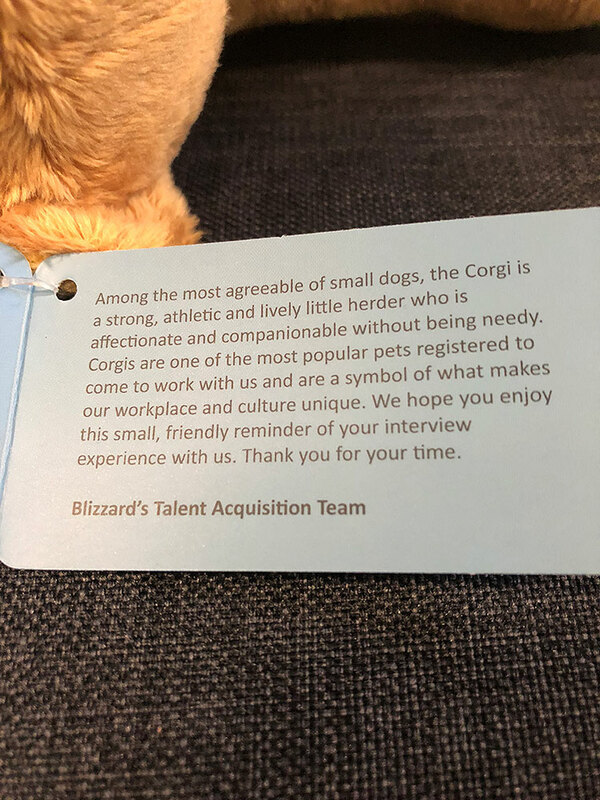 It's a token of our appreciation for taking the time to meet with our teams in person to see if there’s a good fit. 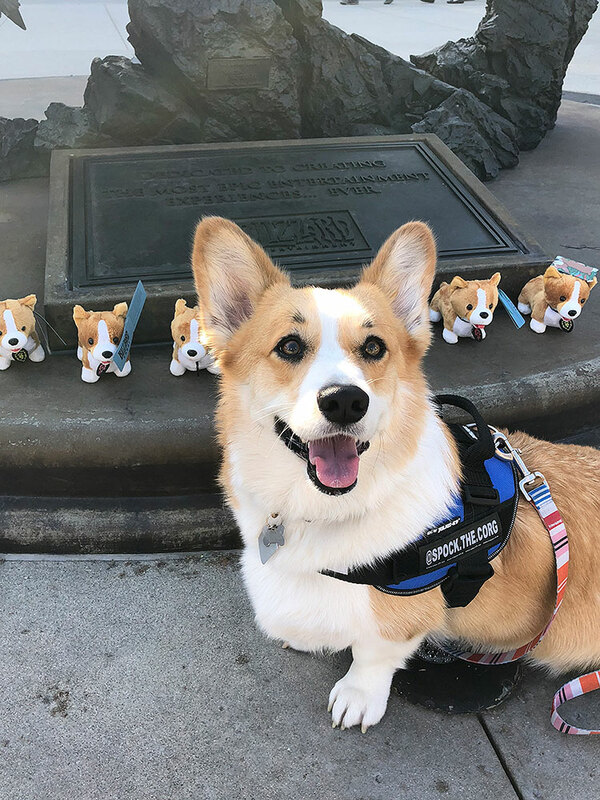 Our first corgi litter have arrived and are set to be adopted. 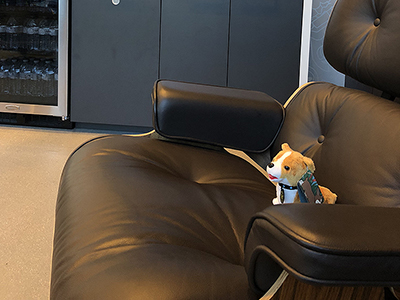 Hopefully, many will return to campus one day with their owners in tow as brand new employees.